Sometimes it is necessary to homeschool one child, while your other child attends public school. This can lead to the homeschool vs public school debate, but also, a need to juggle doing both at the same time. Children, especially siblings, think everything should be equal and fair for both. However, sending one to public school and homeschooling the other can be a challenge, but you can make it through. Here are some tips to help you through this. Explain the situation to both of your kids. You need to sit both of your children down and explain why one child is being homeschooled and the other is not. It may be due to health reasons or physical difficulties. Let your children know that one way isn't better for everyone, but that you are trying to do what is best for both. The homeschool vs public school debate should not leave either child feeling like they are being left out or aren't as loved as the other child. Keep school time for school. When your child leaves for school, keep the same schedule for both children. Keep your homeschooled child accountable for their schoolwork. Teaching both of your children accountability is so important in life. 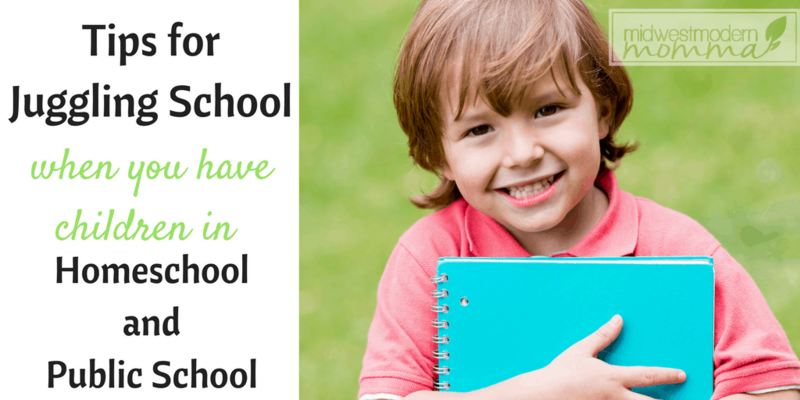 You will find opportunities for your homeschooled child and your public school child. Your child, that is in public school, may get jealous of the time the other gets to spend with you. Be sure to spend quality time with both of your children. If possible, spend some time with each child separately, so they will each have time when you are focused on each of them individually. Again, making sure that all of your children understand that attending homeschool vs public school isn't due to your preference for one child over another. Have an interest in both of your children's education. It is easy to get so involved with homeschooling, that you forget to be involved in your other child's education. Show interest in what your public schooled child is learning, as well. Help him or her with homework, go to teacher-parent appointments, and know what their school environment is like. 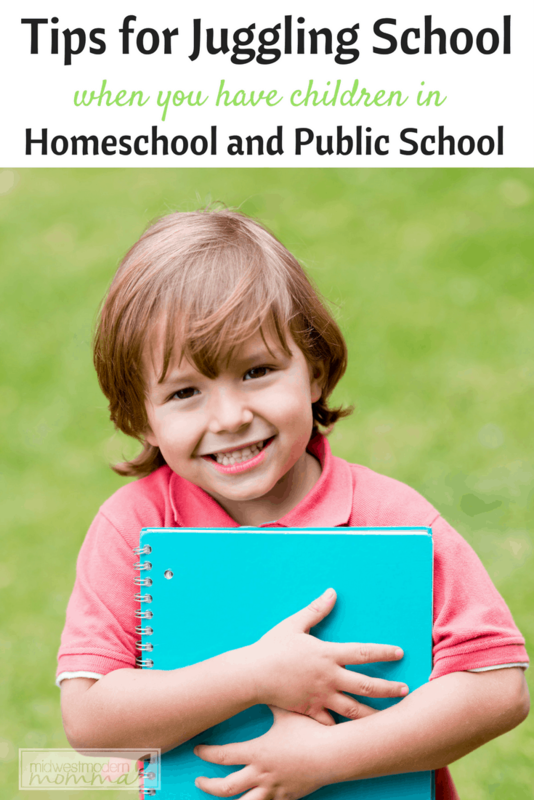 Have your homeschooled child in homeschool group or co-op. Your homeschooled child may be jealous that the other child is going out and having friends. They may miss the friends they had if they attended a public school previously. Make it a priority for your child to spend time with other children their age. There is usually a lot of opportunities to get involved in the homeschooled community, so don’t miss out. Whatever the reason is that you are homeschooling one child, while the other goes to public school, try your best to help them understand. Show both of your children, unconditional love, so that they will prosper in whatever environment they are in. Teaching siblings that not everything is equal and fair will be a valuable lesson learned for life. The debate of homeschool vs public school isn't one that is always a yes across the board. As you can see, there are many times when you will feel it is best to do both. Jess Weaver is a copywriter and social media maven. She’s been married to Ryan for nearly 9 blissful years. She has three adorable and rowdy sons. Benjamin- 5, Isaac- 3, and Josiah -1. She also recently welcomed a baby girl, Hannah, into the family. If you would like to contact Jess you can do so by emailing her at jess@jessleewrites.com.